Some new details regarding web-swinging in Insomniac Games’ Spider-Man have emerged online thanks to the developer itself. 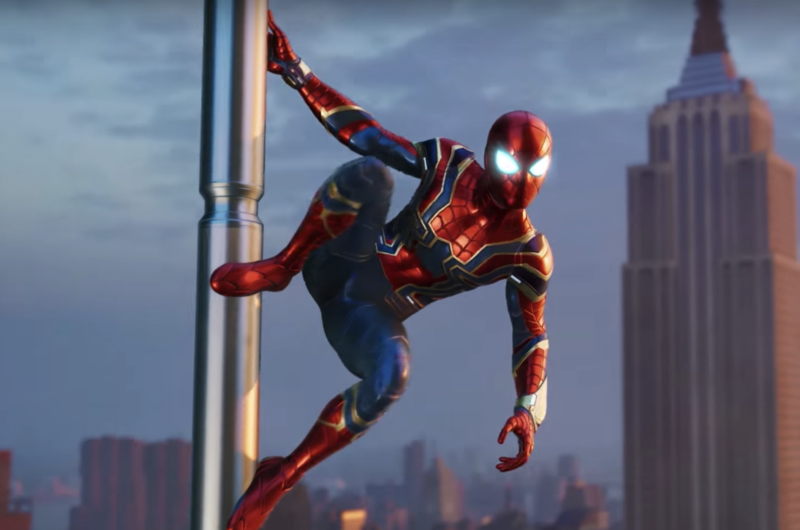 Answering a fan’s question on Twitter, Insomniac revealed some additional details on how controls will work while swinging around the city. no you must release or jump off (release R2 or press X). Holding R2 the web will break and you will fall. Another highly requested feature may also been in. Answering a fan’s question, Creative Director Bryan Intihar said that it would be cool to have a New Game Plus mode in the game. Considering he outright says no to features that are not planned, there’s the chance that the team is at least considering its inclusion. Answering another question, the developer also confirmed that the game will look great on base PlayStation 4, reiterating that the original reveal trailer was captured on regular PS4, as the Pro didn’t exist physically at the time. Last week, Bryan Intihar confirmed that the game has already been improved since the E3. He also confirmed that HUD elements will be disabled while traversing the city in the final release. Insomniac Game’s Spider-Man launches this September exclusively on PlayStation 4 in all regions. We will keep you updated on the game as soon as more come in on it, so stay tuned for all the latest news on the next adventure starring everyone’s favorite friendly neighborhood.